Newly-discovered deep-water microbes could help us clean CO2 out of the air. Image credits Brett Baker / University of Texas at Austin. A bunch of microbes collected at around 2,000 metres (6,562 feet) below the surface of the surface of the Gulf of California might have a strong appetite for pollutants — including CO2 and crude oil. The team describing these organisms hopes they can be used to lessen our environmental footprint. “This [discovery] shows the deep oceans contain expansive unexplored biodiversity, and microscopic organisms there are capable of degrading oil and other harmful chemicals,” says lead researcher and marine scientist Brett Baker from the University of Texas at Austin. The microbes live under water in very harsh conditions. Besides sheer pressure, they also have to endure temperatures of around 200 degrees Celsius (392 degrees Fahrenheit) generated by subterranean vulcanic activity. With this in mind, the wealth of microbes the team recovered is really impressive. A total of 551 separate genomes were identified in the samples — including 22 that had never been recorded before. Better yet, the bugs were observed chowing down on hydrocarbons (such as methane and butane) for their meals. 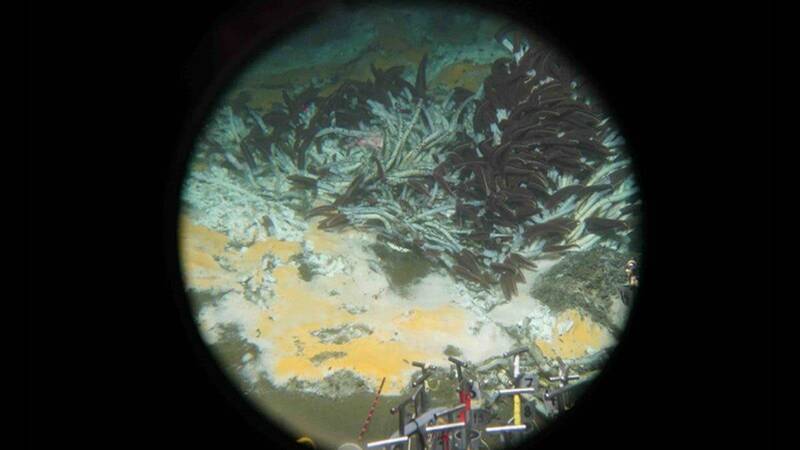 “Beneath the ocean floor huge reservoirs of hydrocarbon gases – including methane, propane, butane and others – exist now, and these microbes prevent greenhouse gases from being released into the atmosphere,” Baker explains. This makes their diet very unusual — and valuable. The microbes could help in cleaning up pollution in the future, if we can find a way to harness or copy their abilities. Another very surprising discovery is how genetically different these organisms are from anything we’ve ever seen before. The 22 newly-discovered species are so unique that they could require us ‘adding’ a new branch on the tree of life. The findings are still new, and more work will be needed to determine where these lifeforms fit into the larger picture, as well as any of their potential uses. “The tree of life is something that people have been trying to understand since Darwin came up with the concept over 150 years ago, and it’s still this moving target at the moment,” says Barker. Recent improvements in DNA sequencing and computer software technology, however, are helping clear the picture. The microbes discovered in this study can improve our understanding of biology as well as – potentially – keep a lid on pollutants in the environment. Also notable is the craft which collected the microbes — it was the Alvin submersible, the same vehicle that explored the wreck of the Titanic bank in 1986. The paper “Expansive microbial metabolic versatility and biodiversity in dynamic Guaymas Basin hydrothermal sediments” has been published in the journal Nature Communications.